Getting Crafty with Jamie: Ombré Coloring to Light Up My Life! Ombré Coloring to Light Up My Life! Deliver color, depth and beauty to someone's day with the new Blendabilites Markers! Order your Blendabilites FROM ME and I will send you an exclusive tutorial with two techniques in using it. I colored a fun Peacock hand-stamped card and was asked HOW I created this Ombre Technique using the Blendabilites Markers. Well, BAM!! Here is a fun Video Tutorial and answer to your question!! See this stunning Peacock card when you Click Here. 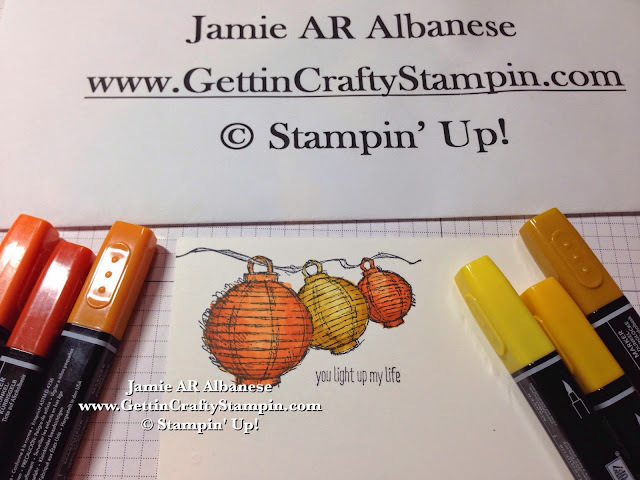 I love how easy and fun it is to use the Blendabilites Markers and to add depth, shadow, light and color to my hand-stamped projects. 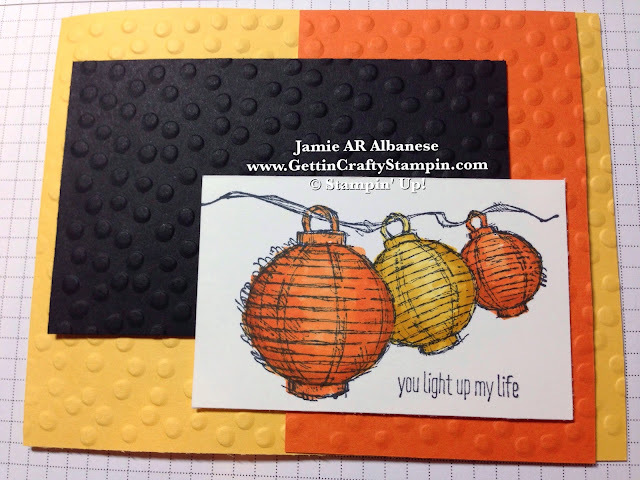 Highlight the colors when you add the Basic Black, Pumpkin Pie and Daffodil Delight to the card. Adding fun and texture to the card using the Decorative Dots embossing folder and Big Shot Die-Cutting machine on all three layers. Depth, Ease and Beauty... it's amazing how the Blendabilites Markers will WOW those who receive these stunning hand-stamped, ombre colored cards!! 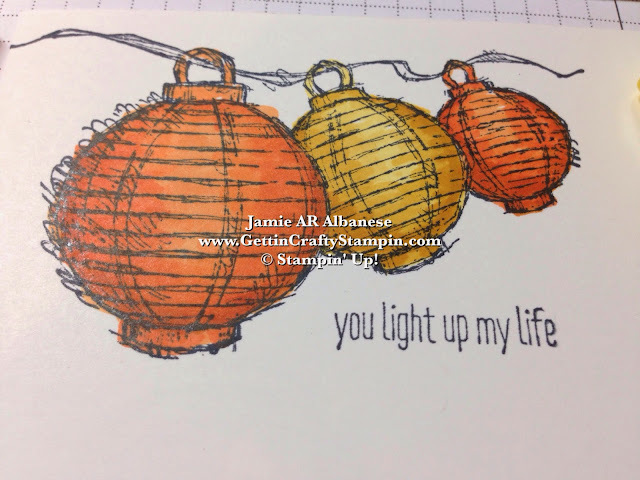 Deliver a colorful, pretty, hand-stamped - ombre-colored card that will show how someone lights up your life! With several techniques that create stunning but different looks, it's a blast to own these Blendabilites Markers. See how to take your card making and paper crafting projects to the next level with the Blendabilites Markers. Send a hand-stamped, ombre-colored card and brighten someone's day.